This new museum book highlights the challenge of housing two giants under one roof, with mixed results. I once wrote a book about Andy Warhol, which necessarily also means that I have read at least a hundred other books about Warhol. Indeed, there's no shortage of people weighing in on his life, his work and its legacy. The more expert I feel about him, the more I also think to myself, Do I really have another eight hundred or so words to devote to this man? And well, yeah, I do. It's tempting to believe that everything one could possibly say about Warhol has already been said. But Warhol never cared about whether he might run out of content; there was always a preoccupation instead with how easily he could replicate a form. Even when it came to content, he generally preferred subjects that have a whiff of proliferation about them, from Campbell's Soup to Chairman Mao—a certain aura of mass production that, if he could render it well, in the best of times meant that his own legacy might hitch a ride on it in perpetuity. He saw celebrity, with its fountain of charisma, as a type of renewable resource. If one superstar spiraled into a dud, got burnt out or too heavy on the drama, he could pick up another one pretty easily. He could recognize the type of person who wanted to be on display, and in his subject's willingness or even yearning to invite his portraiture, Warhol was pretty much picking up tricks. Gathering up a celeb for a portrait is not unlike cruising the park. Robert Mapplethorpe did a much better, clearer job of photographing the latter. In Just Kids, Patti Smith pays homage to Mapplethorpe's willingness to push his photos as cultural artifacts that could educate. When you look at a Mapplethorpe photo, you learn how you feel about queer culture. Most of Warhol's work doesn’t educate in this way and he was envious of Mapplethorpe's attitude, his willingness to court controversy. Warhol supplanted controversy with charisma. He wanted mass approval and acceptance in order to inch ever closer to his dream of the infinitely multiplying portrait. They were fascinated by each others' work. 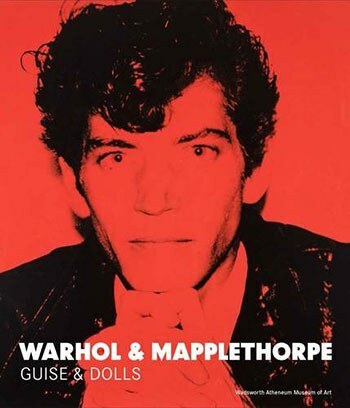 Essentially, Warhol & Mapplethorpe: Guise & Dolls is a pictorial representation that could accompany Judith Butler's work on gender performativity. Mapplethorpe was deeply interested in documenting bodies that matter, in the sense of elevating individuals into archetypes of gender coding and in the sense of showcasing the physicality of codings in these subjects. Smith was an early muse, and then later more explicitly Warhol collected drag queens like Candy Darling and muscled hunks like Joe Dallesandro. As Butler concludes, these are ultimately all readable -- and photographable -- as performances of gender in order to exercise a certain degree of power. So if this current collection, which puts their work side by side, appears to offer nothing new, that's a failure on the part of the reader to respect the irony. 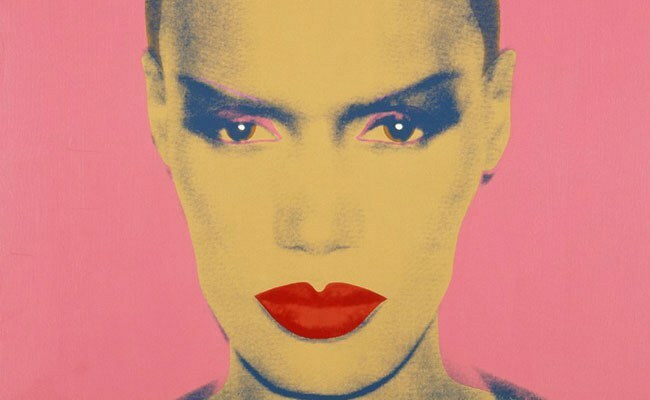 Everybody has seen one of Warhol's portrait prints. Some have seen the orange Marilyn, some the blue Mao—but if you have seen one, you have actually not seen them all. Mapplethorpe agrees, because if all queers were alike he wouldn't have bothered to find so many. This performance of gender is infinitely fluid and variable. It's a renewable resource, like the charisma that Warhol sought in his superstars. In many cases, a superstar’s primary characteristic was an interesting performance of gender. We could look at Lou Reed, or Holly Woodlawn, or Ultra Violet. All the work from both artists presented in this collection is meant to point in a direction of their similarities and sympathies. Gender and disguise are indeed two key aspects of their parallel work. But in many ways, the left hand of the book is not in conversation with the right. For a museum book, Warhol & Mapplethorpe is definitely a notch about your average coffee table fare -- a little smarter and more daring. So congrats to the Wadsworth Atheneum Museum of Art for a finely curated collection. Simultaneously though, it has little insight to offer most people who have studied Warhol or Mapplethorpe in any previous detail. Patricia Hickson’s introductory essay is almost entirely summary, occasionally elevated to description and seldom digging into argument. It’s a polite opener, giving extremely broad strokes for cultural context, but it doesn't deliver anything constituting "news", if you will. In the end, it draws heavily on secondary sources, particularly Smith, to shine a cursory light on each of the major portfolio chunks in the book, but does not itself make any kind of strong impression. The introduction has few ideas about the information it presents. I guess I’m just saying it’s spoken like a curator, but that’s exactly what Hickson is, so it would hardly be fair to construe this as a disappointment. Jonathan D. Katz’s essay is very strong, shot through with carefully chosen adjectives and frank descriptions of its subjects. He uses academic language, not coffee table book language, and his essay is chief among the new essays in this book as far as really making an effort to interpret the subject, as opposed to just describing it. He argues for a primary constant between the works of the two artists, analyzing how Warhol worked to obliterate the idea of essence, while Mapplethorpe tried courageously to capture it then twist it into an education for the viewer. Katz expertly charts the feeling of surprise predicated upon a drag performer’s reveal, and the way that energy can generate a momentum toward fresh thinking on the subject of gender. Tirza True Latimer’s essay is in complete agreement with Katz’s, but where Katz is working from source material like Butler, Latimer is working from an art history perspective. They really end up saying the same thing, and perhaps it would’ve been wiser to sequence Latimer’s essay before Katz’s, as his essay is the lynchpin leveling up the intellectual capacity that is ideal to enjoy this book. Vincent Fremont offers a short behind-the-scenes take on Warhol using his assistant, Bob Colacello, as a test subject for Ladies and Gentlemen. As executor of Warhol’s estate, Fremont is perhaps a necessary and obvious choice for inclusion, but chapter 23 of Colacello’s own Factory memoir, Holy Terror, treats the same subject both more personally and more professionally. Fremont’s version here is more folklore than portrait, a bit of Factory boilerplate that he’s delivered with more pizzazz on other occasions. Maria Luisa Pacelli’s interview with Franco Farina is, well, wonderfully Italian. Farina was the director who first organized the Ladies and Gentlemen show where Pacelli is now the director. They are warm and forthright with each other, speculating on how Warhol felt about the show’s success and confirming that the majority of the show had already been bought by one collector in advance. They discuss how sealing the doors with the event’s publicity posters prevented Warhol from seeing the exhibition until the public saw it, and his dodgy press conference answers later. That interview sparkles with personality, but the real hidden gem of the collection is Eileen Myles’s excerpt from Chelsea Girls, conveying her experience of being photographed by Mapplethorpe. (Full disclosure: Myles and I are pals.) This is a great tidbit, especially because Chelsea Girls was out of print for so long and her hilariously self-evaluative voice was at peak working class performance during this time. The excerpt also dovetails nicely with Katz’s essay on Mapplethorpe’s intent toward his subjects and the goal of his portraiture, which was to really get at the plurality and fluidity of a person’s identity. Myles analyzes the photo of herself in a way that shows how many other people she has been, beautifully illustrating Katz’s argument from her unique vantage point as Mapplethorpe’s subject. Christopher Makos’s essay on the Altered Images collaboration with Warhol is sadly too brief; but then, he’s put together two or three others books in the last 15 years that detail this chunk of the portfolio plus many others. Like the Fremont essay, this is but a taste of what Makos has to offer—a cursory glance that the uninitiated might enjoy, while those who have read stacks and stacks of Warhol books, including Makos’s own Lady Warhol and Warhol / Makos in Context, will find it to be too shallow. The timeline compiled by Eileen Doyle is pretty smart, with Warhol on top and Mapplethorpe on the bottom (make all the jokes you want; they’d both appreciate it). It highlights the problem of how expansively this book could be tackling the confluence and influence of these two artists. It also points toward some ways to further triangulate these two with Richard Avedon, though none of these essays have set their sights set on that particular horizon. 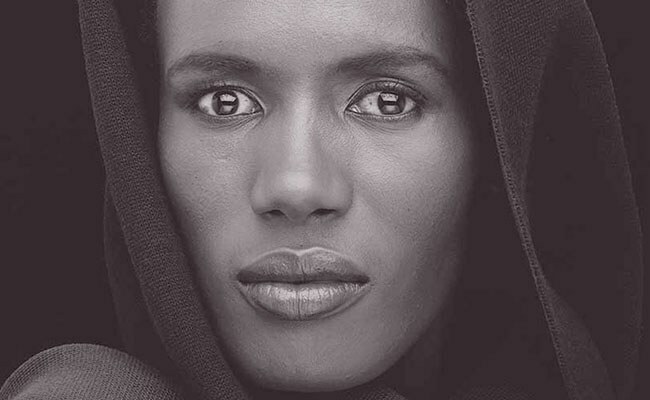 The other thing missing from the essays is any comment on actually the best two pages of the whole set of plates: each artist’s portrait of Grace Jones. Side by side like that, the sameness and difference of their work is strikingly self-evident. Mapplethorpe’s image is half the size and none of the color, yet twice the emotional weight. The book jacket’s twin self-portraits do a lot of this same type of work, except that Warhol’s portrait of Jones is a more complete representation of his general style than his portrait of Mapplethorpe, which is missing the painted accents common to most of his portraiture. There's much in this book worth liking, and it makes a decent entry point for casual fans looking to get a bit closer to a real analysis. Those who are already in possession of a half dozen books about Warhol or Mapplethorpe might appreciate having both artists next to each other under one cover, though the total effect does leave one rooting for the warmth of Mapplethorpe over the icy flatness of Warhol. That’s kind of funny, since the slickness of this book’s curation more closely resembles the style of Warhol than that of Mapplethorpe. Any serious scholars of both artists will not find much new here, but then it could still serve as a more specific personal brand statement than the separate museum books on Warhol and Mapplethorpe sitting on your coffee table at present.